Starting from the second position, Lewis Hamilton won today’s Russian Grand Prix after his team asked his team-mate Valtteri Bottas to let the championship leader by. Lewis Hamilton scored his eighth victory of the current season in today’s Russian Grand Prix, causing controversy instead of joyfulness. The Briton started from the second place on the grid after he made a mistake on his last hot lap in Saturday's qualifying session. Today, Hamilton did not have a perfect getaway at the start and could only defend himself with the help of Valtteri Bottas’ tow from the fast-starting Sebastian Vettel. After Saturday when Ferrari was playing second-fiddle to Mercedes, the Italian team managed to raise the pace in the race. Vettel was able to stay connected to the leading duo and overtook his championship rival with a perfectly-timed pit stop. However, that order did not stay for long. On Hamilton's out-lap, Vettel made a small mistake in the last sector, meaning that he got out of Bottas's DRS window and, at the same time, enabling the Briton to activate his DRS. The championship leader managed to close the gap to Vettel down to the second corner and tried an overtaking manoeuvre for which Vettel offered an aggressive answer. Hamilton finally retook the 'net' second place when the German left the door open into Turn 4. The German did not give up his hopes and stayed in close vicinity to Hamilton. Concerned about the threat from the pursuing Vettel, Mercedes ordered Valtteri Bottas to move aside. The Finn let his team-mate go by. In the dying moments of the race, when things were settled down, Bottas asked his team whether he could retake the lead, but Mercedes refused to fulfil the wish of his driver and presented the victory to Hamilton. Asked by Sky Sports right after the race if the team order was necessary, given Hamilton’s big championship lead, Toto Wolff applied an analytical approach. Wolff thinks that helping Lewis Hamilton to win the race was the right approach even if Mercedes robbed the race victory from his second driver Valtteri Bottas. "We should be over the moon with a 1-2 and fundamentally we are, but we also feel that it went against Valtteri. It would have been a race win for him, and we changed it. "It’s deflating for drivers, it’s deflating for a team. But there is a harsh reality also that on such a day you can extend the lead by seven points more, for a championship that has been very tough and very difficult at times and you have to take it and this is what we did today." Today’s race was not the first time Mercedes imposed team orders, however it could be the last time this season as the difference between Hamilton and the second-placed Vettel grew to 50 points in the Standings which is almost unrecoverable with only five races to go. In Germany, Bottas let Hamilton go past in the closing stages of the races. In Hungary, Valtteri Bottas was asked to slow down and hold up the quicker Ferraris of Sebastian Vettel and Kimi Räikkönen. Following that race, Mercedes team boss Toto Wolff called Bottas the ‘perfect wingman’. 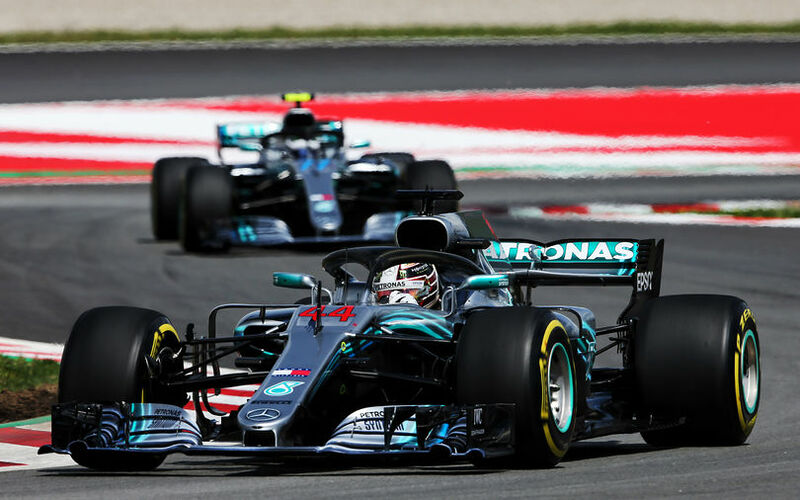 In Italy, Bottas’ race was sacrificed when he was ordered to stay out on the track which enabled his team-mate Hamilton to close down the gap of 5 seconds to Kimi Räikkönen.